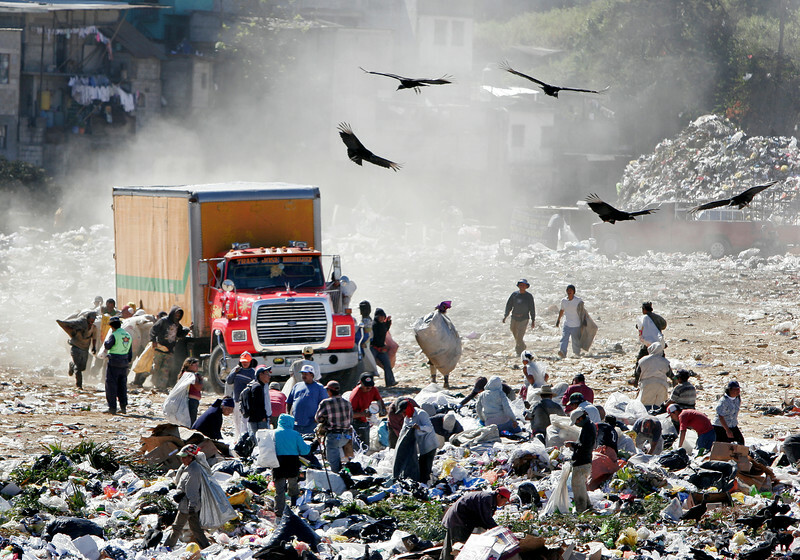 Guajeros, people who scavenge through the dump looking for items to resell, run alongside an arriving dump truck in the Guatemala City dump on Wednesday, January 24, 2007. By running alongside and holding on to a truck as it comes in, guajeros make an inherent claim over other scavengers for the right to pick through items that that truck dumps. In this process, though, some workers have been run over by the trucks.